Is it still about Paper Coupons? EU to Require Car Monitors, Limiters. Automated Sentiment Analysis Does not Work? Graph analytics use relationships to reveal structural and predictive insights hiding in your data. Whether you are building dynamic network models, mitigating risk and fraud or forecasting real-world behavior. 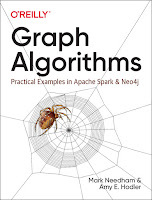 Check out this great resource – just published today: The O'Reilly book, Graph Algorithms: Practical Examples in Apache Spark and Neo4j. Get your free copy now. 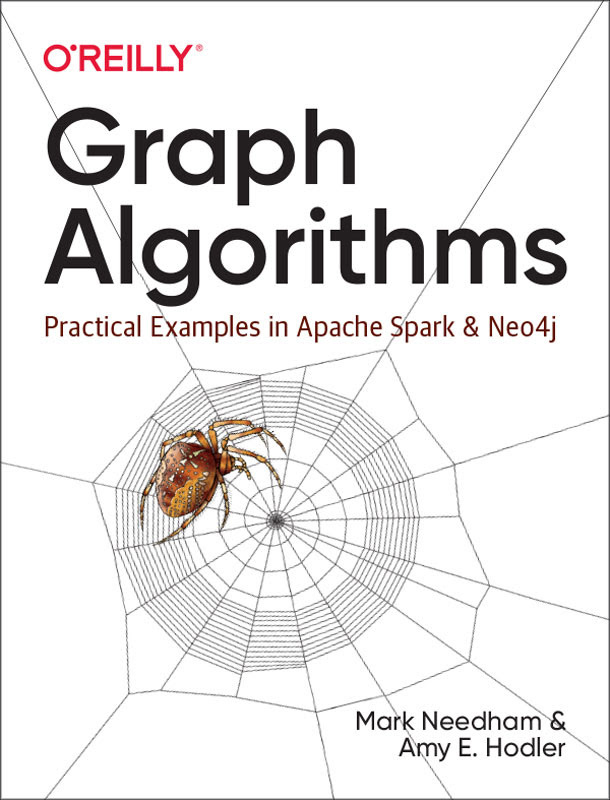 Pass this offer along to anyone on your team who would like to explore graph algorithm examples with working code and sample datasets for both Spark and Neo4j. Also included is a chapter on how graph algorithms enhance machine learning accuracy and precision. Worked with paper coupon redemption analytics from the very beginning at very big CPG. Is it about their physical nature? Will there always be room for the paper coupon? Would not have guessed it, but the statistics still show it. Despite a slight rise in the preference for paperless discounts, more adults still prefer paper coupons, according to the latest annual survey of coupon use from Valassis. Fully half of adults in the U.S. prefer to get coupons in the mail, a figure that has continued to rise over the past three years. The proportion of respondents who prefer to get coupons from a coupon book found in a newspaper continues to rise as well, from 42 percent last year to 44 percent this year. Some 42 percent agree that they prefer to get paperless discounts from the internet that they can download onto their store shopper/loyalty card. And even though a smartphone offers the convenience of carrying coupons anywhere, just 38 percent say they prefer paperless discounts on their smartphone/mobile device. .... "
Now having experienced Wifi in Hospitality since its inception, I recall having a conversation with a Hotel Chain innovation group. At the time they were unconvinced that Wifi had value, and there too many dangers. Things have changed and continue to evolve. Incentivizing repeat business. Now a days I mostly wander through retailers checking stocking and possible product use, and the Wifi experience could be much better. They need to make it very clean, and incentivize repeat business and value with the right data. You are an edge of the retail IOT. And how about making the edge more intelligent as an assistant? Providing high-quality Wi-Fi is an IT investment most businesses incur. Customers expect Wi-Fi at every destination. It is crucial to post pictures of appetizers, split checks, and look up the difference between ‘bucatini’ and ‘fettuccini’. It has become a necessity when dining out. And a large hospitality group, previously known as Batali and Bastianich (B&B), with locations around the world, already knew this. Yet they had a problem offering quality connection in several of their Las Vegas restaurants. And, they were struggling to identify their customers. So, they came to a Cisco Solution Partner iValu8 for help. B&B agreed to a one-month trial with iValu8 to pilot VivaSpotTM, a marketing campaign platform that runs over Wi-Fi, which then implements Cisco Meraki as the reliable and scalable way to power the solution. Not only were their customers now able enjoy high-quality Wi-Fi during the trial, but they began to collect customer data to incentivize repeat business, gather feedback, and amplify the hospitality group’s social media presence. They could track the results in real-time and launch campaigns on any device from any location. And, free Wi-Fi became a key marketing assets. With multiple locations around Las Vegas, VivaSpot also cross-promoted other properties of the hospitality group when customers logged-on to their current Wi-Fi. And the results? An overall increase in spend from customers’ during their stay at all of the properties. The hospitality group found so much success with the pilot, they’re ordering more. They are bringing Cisco Meraki and iValu8’s VivaSpot to eleven different locations from NYC to LA. Taking the group from a one-month trial to over $100,000 in revenue. ... "
I changed the title, they will likely not write code in the future, they will create algorithms by some interface other than 'writing code'. Coding, as it has developed, is far too inefficient and error prone. Artists in the underground electronic music culture are performing live-coding shows or "algoraves," in which they program software algorithms to create new forms of music. Musicians synthesize individual sounds on their computers, then direct the software to string those sounds together based on a set of predefined rules; the end product has the artist's signature, but is algorithmically sculpted. When the same routine is run again, the song will sound familiar and contain the same elements, but the composition will be structured differently. Performances often are enhanced with screens displaying the running code as trippy visuals. A popular venue for this emergent art form is the Algorithmic Art Assembly, a two-day festival in San Francisco ..... "
Have now had a smart home lab for a long time. Could have used this for some time, in particular to understand how the home interacts with external contexts, like the car, the store, the Internet. Like the idea. So many things in the lab are IOT members. Has to be marketing insight here. Princeton University researchers have built an open source Web app that allows homeowners to monitor their smart home devices. The IoT Inspector is designed to help consumers analyze the network traffic of their Internet-connected appliances, mainly to determine whether those devices are sharing their information with third parties. The researchers said the IoT Inspector requires no special hardware or a complex setup, making it easy for consumers to deploy smart home monitoring. The team acknowledged it hopes to use data collected by the app to advance Internet of Things (IoT) research, including insights into privacy, security, and network performance risks of IoT devices. The researchers said the app can track the Internet activities of as many as 50 devices on a network. .... "
Not an unexpected thing. Its another form of data and is naturally part of efficiency considerations. Even its 'architecture', like those mentioned in recent silo readings, can be important to the accuracy of decisions being made. Data exists in work contexts, decisions use data, which includes how people (and AIs) use that data. The advent of technologies that let businesses track, overhear, and monitor employees on company time is raising issues about corporate surveillance. Gartner estimated last year that 22% of organizations worldwide in various sectors use employee-movement data, 17% track work-computer-usage data, and 16% access Microsoft Outlook or other calendar-usage data. Products of interest include Amazon's recently patented ultrasonic bracelet, which can localize warehouse employees and monitor their interaction with inventory bins via sound pulses. Meanwhile, last year Walmart patented a system for eavesdropping on workers and customers, which tracks employee "performance metrics" to ensure employees are on the job by listening for certain noises. Some makers of monitoring technologies are developing deployment guidelines to allay employer and employee privacy concerns, but advocates fear worker privacy could be compromised without appropriate regulation. ... "
Its really always about silos. The silos are formed in part by the data that exists within them. But also more fundamentally by the trust that exists within decision making. I have trust within a silo that makes decisions that influences agreed-to goals. How might further automation change this? In this edition:The silo syndrome Working in silos can cause tunnel vision, tribalism, and weak corporate performance. What’s a silo-buster to do? ... "
This example was sent to me, a straight forward example of using Azure. Always looking for useful examples of better automating at least initial tests of a machine learning example. Big proponent of quick, early, cheap tests of even complex modeling efforts. Look for ways to get the idea in front of other analysts, decision makers, data providers. Even a sketch on a board is worthwhile, but showing something interactive gives a clear taste of the potential value. Use Azure Machine Learning to create a model and apply it to a real-world scenario: predicting energy demand and expected load on energy grids - a critical business operation for energy companies. The same principles apply across use cases, so you can adjust for your organization’s critical operations and needs. Deep neural networks (DNNs) have demonstrated remarkable effectiveness in solving hard problems of practical relevance such as image classification, text recognition and speech transcription. However, designing a suitable DNN architecture for a given problem continues to be a challenging task. Given the large search space of possible architectures, designing a network from scratch for your specific application can be prohibitively expensive in terms of computational resources and time. Approaches such as Neural Architecture Search and AdaNet use machine learning to search the design space in order to find improved architectures. An alternative is to take an existing architecture for a similar problem and, in one shot, optimize it for the task at hand. .... "
Bold claim here in Supplychain Brain.
" ... What’s encouraging is a growing wave of awareness of blockchain and distributed ledger technology (DLT). Interest in blockchain appears to be providing an avenue for the true scaling of real-world collaboration, by embracing decentralized technology, encrypted security and peer-to-peer networking technology. Perhaps you have witnessed in your organization attempts to deploy connected planning technology and kill the spreadsheet, in favor of one real-time instance of advanced planning and scheduling. Has that worked, or has it just created more underground use of spreadsheets, e-mails, whiteboards and conference calls?... " New, brought to my attention, short non-tech articles on advancing tech. With some interesting embedded links. AI has the potential to impact many industries, from healthcare to manufacturing. The University of Waterloo is just one of many companies and institutions that has opened an AI institute dedicated solely to complex and detailed research on the technology’s applications. ... "
Our editorial mission is to explore the implications of emerging technologies on society, business, politics and the environment of tomorrow. We aim to inform and inspire through thoughtful research, responsible reporting, and clear, unbiased writing, and to create a platform for a diverse group of innovators to bring multiple perspectives. ... "
Nice thoughts here. If we can learn we should be able to teach. Microsoft Research has a recent paper (Machine Teaching: A New Paradigm for Building Machine Learning Systems) that explores the eventual evolution of Machine Learning. The paper makes a clear distinction between Machine Learning and Machine Teaching. The authors explain that Machine Learning is what is practiced in research organizations and Machine Teaching is what will eventually be practiced by engineering organizations. The teaching perspective is not only different from the learning perspective, but there are obvious advantages in that concept disentanglement is known a priori ... "
See the Microsoft Paper mentioned. I am a long time proponent and practitioner of simulation methods. We simulated plant design and process, warehouse operations, woodland growth and management, consumer in aisle behavior, coffee roasting, advertising selection and delivery ... and much more. Always a good approach to validate prescribed analytics and AI. It needs be better linked directly to analytical solutions. I recently spoke with Luis Lopez, manager of process improvement at the Port of Vancouver, to discuss the role that simulation technology has in process improvement, advice on piloting simulation software, and a few lessons learned from his hands-on experience with simulation technology. What role can simulation technology play in process improvement work? Simulation technology plays an important role in the improvement of complex processes as it provides a non-invasive, risk-free, and cost-efficient method to identify and analyze the underlying factors that may contribute to poor process performance and evaluate potential improvements. Simulation technology is key when testing improvements in the real process can be very costly, risky or lengthy. Simulation models also provide a great way to engage project teams in the design and development of process improvements. Advances in 3D graphics have made it relatively simple to make detailed 3D simulation models of an operational process. These 3D renderings allow project teams to quickly visualize their ideas and identify potential benefits and implementation barriers. This is why I like to say that “if one picture is worth a thousand words, an animated 3D simulation model in a process improvement project is worth a thousand pictures.” .... "
Quite some detail for making AI applications work with the cloud in this new production factory for AI in the Cloud. I like the idea of standardizing such learning projects and installed solutions. I would also like to see this kind of work linked with business process models like BPM. AI Platform supports Kubeflow, Google’s open-source platform, which lets you build portable ML pipelines that you can run on-premises or on Google Cloud without significant code changes. And you’ll have access to cutting-edge Google AI technology like TensorFlow, TPUs, and TFX tools as you deploy your AI applications to production. ... "
Been a long time since I worked with Wolfram's Mathematica. Was always impressed with what the package provided. Especially useful for people that already have a math background. Also good to let people/students with a strong interest in Math expand their mathematical powers. They are coming up with a considerable update I have started to scan. Lots of new descriptive documentation that looks good. Now includes examples about how to do DeepLearning and blockchains with Mathematica. The article below has a long description of the capabilities. Sales Prediction in real time. 6sense, a San Francisco-based startup that uses big data to predict in real time when people are looking to buy products, has raised $27 million to grow its marketing analytics tool. The funding round was led by Industry Ventures, with existing investors Bain Capital Ventures, Battery Ventures, Costanoa Ventures, Salesforce Ventures, and Venrock also participating. 6sense, which described the new round as “growth funding following series B,” has raised $63 million to date. .... "
The time it takes to analyse these scans, combined with the sheer number of scans that healthcare professionals have to go through (over 1,000 a day at Moorfields alone), can lead to lengthy delays between scan and treatment – even when someone needs urgent care. If they develop a sudden problem, such as a bleed at the back of the eye, these delays could even cost patients their sight. .... "
Our own work in this space often touched on this: A person does like to talk to a clear, knowledgeable person who can solve our problem quickly and directly. But in what context would they live with less than that? And how does that alter their later commercial behavior regarding the service? Quite an important issue for any assistant role. In HBS Working Knowledge. An infographic style look at ongoing research. With some backup statistical results. Always been interested in creativity from AI. Here an AI 'observes' sports and creates a new one. Is this creative, predictive, adaptive? Is the idea useful for other kinds or contexts of human behavior? Could this be redone for serious games? Many existing sports have their roots in hundreds (if not thousands) of years of human tradition. But what if you asked computers to create a sport? You now know how that can turn out. The design agency AKQA has introduced Speedgate, reportedly the first sport envisioned by an AI. The event has six-player teams competing on a field with three open-ended gates. Once you've kicked the ball through a center gate (which you can't step through), your team can score on one of the end gates -- complete with an extra point if you ricochet the ball through the gate. You can't stay still, either, as the ball has to move every three seconds. .... "
Channel blurring has led to more complexities than ever for both CPGs and retailers. Consumers have the option to shop in physical stores or online, a blend of the two with buy online and pick up in store, or to not even actively shop at all by using a subscription service. On top of this, the growth of today’s private label and regional-based players have led many product lines to hit a premature revenue ceiling. ... "
Modern supply chains are faster, more dynamic, and more volatile than ever before. The digital economy thrives on scouring the globe for new markets and new sources of supply. Furthermore, agile supply networks outpace rigid supply chains, anticipating demand from empowered customers. But in contrast with rigid legacy supply chains, binding known and trusted vendors, an agile network of temporary suppliers, might damage customer experience, by concealing the origin and characteristics of components or ingredients. Blockchain and distributed ledger technologies can help, by increasing visibility of supply chain documentation. They can reduce inspections, boost trade credit, and build trust even with new, or temporary, suppliers. .... "
With this being said, we at Rebel Foods tech, strongly believe in the idea of breaking down a large monolith system into the small sets of microservices. Here I would be describing the purpose and the journey behind it. When we started in 2011 with one brand FAASOS the requirements were quite clear to us — “Build a system that can handle 15k transactions per day” and 15k was just the number of orders expected daily, behind this Rebel Foods manages the complete lifecycle of on-demand food right from the inventory to our supply chain to content management to user channels like our mobile apps, websites and our third-party partners to our cloud kitchens to finally making the last-mile fulfilment. Looking at the fast-paced market we had to deliver a system that can produce a flawless experience while being 99% fault tolerant. We came up with a central core system design that would interact with our main database and would expose the APIs to perform various operations required to satisfy the above needs. We called this system the V1 architecture of Rebel Foods. ... "
My own strong interest and background in botany makes me consider this closely, consider the implications. In particular have been experimenting with basil flavors for years. While the smells of basils can be considerable, they often do not perform as distinctly in dishes. Can we program in robust flavors? Following. “We’re really interested in building networked tools that can take a plant’s experience, its phenotype, the set of stresses it encounters, and its genetics, and digitize that to allow us to understand the plant-environment interaction,” explained MIT’s Caleb Harper in a news release. The better you understand those interactions, the better you can design the plant’s lifecycle, perhaps increasing yield, improving flavor or reducing waste. .... "
Considerable case study, contains lots of good things to consider, but not enough about the goals involved. Good details but not enough of them. Its a global brand, so how much do we need to consider varying languages and cultures? In our own example we found that the training data quality varied strongly because it was gathered based on those cultural differences. In some cases there was insufficient data for a particular culture. I like particularly the involvement of decision makers early seems to be carefully considered. Building an AI solution for a global brand is actually quite challenging. From figuring out the best business issue for AI to the release of the solution, many things can impact the project. Through this article, I wanted to share with everyone my own personal experience. AI has become a buzzword in almost all industries and most decision-makers want to start or have already started implementing AI solutions. ... "
“Everybody thinks basically that the method you learn in school is the best one, but in fact it’s an active area of research,” said Joris van der Hoeven, a mathematician at the French National Center for Scientific Research and one of the co-authors. ... "
Earlier this month, Sears ended a nine-decade presence in Lincoln, Nebraska, when it closed its store at the Gateway Mall. So it was, too, at Park City Center in Lancaster, Pennsylvania, where that town’s Sears store was one of dozens shuttered nationally in yet another wave of contraction by the once-mighty retailer. The closings set off the expected misty-eyed recollections about the legacy brand and the cherished place it occupied in hearts across the country. In Colorado, where Sears closed two stores in Colorado Springs and one in Pueblo, a columnist for the Gazette mourned the loss. But she also admitted that her February visit to report on the closing was the first time she had been to Sears in a decade. “I left empty-handed, and a little heavier-hearted,” wrote Stephanie Earls. Among legacy brands, Sears is in similar, troubled company. Payless ShoeSource is liquidating its 2,100 U.S. stores. Toys “R” Us — where many a young American parent remembers buying his or her first Transformer or Super Soaker – closed its 730 locations last year and is struggling to come back in some form post-bankruptcy. You might have expected that the pull of nostalgia would have protected these brands from the retail re-sorting underway. Customers have emotional connections to certain stores — places where their parents brought them as children and where they did their first Christmas shopping, and developed certain buying habits and loyalties. Becasue I often work with different kinds of practitioners, I often get questions like: How is this different from statistical methods, from Operations Research .... ? I was trained in earlier methods that often had the same goals, but with no claim of being a science. Just math and data based techniques that embed some useful goals and constraints. In prep for an upcoming presentation I reviewed the below to consider the differences. There are lots of overlap here, so you can't define them precisely. Often the best approach can be the one that your clients best understand. But its good to know and review the general direction of many of these. Also, hype does not mean right, and can confuse the issue when over-emphasized. Good piece. Join DSC for more. Here I compare several analytic disciplines that overlap, to explain the differences and common denominators. Sometimes differences exist for nothing else other than historical reasons. Sometimes the differences are real and subtle. I also provide typical job titles, types of analyses, and industries traditionally attached to each discipline. Underlined domains are main sub-domains. It would be great if someone can add an historical perspective to my article. ... "
Engineers from the Massachusetts Institute of Technology’s Computer Science and Artificial Intelligence Laboratory (CSAIL) have developed a new recycling robot that’s capable of automating the process of sifting through trash to distinguish between paper, plastic and metal items. In doing so, it could automate a dull — but entirely necessary — job that few people would want to carry out by hand if there was another option available. Good simple explanation from Tableau on Intent. Have used the concept now in several projects, and of course there is ambiguity, beyond dictionary-definition, in the use of many terms within a company. The ambiguity in context is important to consider. Sometimes intent is simple and explicit, like asking Siri or Alexa if a flight is delayed. This question has clear intention and a simple response—returning the flight status answers the question. Such simplicity is seldom the case when it comes to data analysis. Questions are usually more nuanced, making it hard to correctly assume what the user is really looking for. Natural language is even more tricky where ambiguous terms are common. Ambiguity isn’t a new challenge in data analysis. Different groups within an organization may have different definitions or calculations for the same words: for example, the term “profitability”. Some organizations use central dictionaries (also called data catalogs) to reduce ambiguity and create consistency across the organization. These tools can help provide users with the context they need to understand more deeply. .... "
"... In 1955, science fiction writer Isaac Asimov published a short story about an experiment in “electronic democracy,” in which a single citizen, selected to represent an entire population, responded to questions generated by a computer named Multivac. The machine took this data and calculated the results of an election that therefore never needed to happen. Asimov’s story was set in Bloomington, Indiana, but today an approximation of Multivac is being built in China. ... "
Knowlege@Wharton: Because we are so reliant on technology, are we losing something as a society, as a culture? .... "
The crypto payments startup Zeux has recently affirmed that it would team up with IOTA (MIOTA) in order to list the token for crypto payments at retail stores. According to the reports, the service will be available with stores that accept Samsung Pay and Apple Pay. Zeux has revealed the partnership via social media, affirming that IOTA payments will be added for the new token and that people will be able to use it with several different merchants. At the moment, Zeux has a FCA regulatory license and this is probably part of the changes due to its upcoming launch in the European Union next month. The company is also planning to launch its services in the United States soon. According to the announcements, a big number of shops from grocery stores to coffee shops will be able to receive payments using Zeux. .... "
Mentioned before we connected with D-Wave Quantum Computing early on. Have posted many items about their work. Their annealing approach still has great potential for some difficult kinds of combinatorial problems. Note how this addresses partitioning of sub problems to make the D-Wave approach most useful. Here a new example of work from Japan in the automotive manufacturing space. Not enough detail here, but taking a closer look. Based on what we have seen form Microsoft and other players, VR and XR seem to be best for things the require a hands-free concept, which accept he oddness of wearing some unusual and expensive head gear. Do expect some exceptions, but it will take a while for consumer transitions. Also expect early work out of China, which is promoting wider use, to see some advances. Agree with Forester's look below. See the full piece at the link. Just over a year ago, I was talking with my colleague Jenny Wise after she had returned from Mobile World Congress, 2018 in Barcelona. While we were talking about some of the virtual and augmented reality applications she had seen demonstrated at the event, it sparked a realization for us that the opportunity for altered realities, whether that be VR, AR, XR or mixed reality (MR) was much more immediate with employees than with customers. Enhanced training. XR enables more employees to have more practice time in low-risk, virtual environments. Applications span everything from Walmart preparing its employees for the once-a-year but critical black Friday to surgeons mastering surgical procedures. My favorite example? The FLAIM Trainer, which allows firefighters to simulate risky scnearios and get closer to the real things with little risk – and less expense too. This happens through a combination of VR elements to simulate a fire, along with real-world equipment like hoses and even haptic gloves (a huge feature for the interaction design) that simulated kick back from extreme water pressure. .... "
Wal-Mart continues to push tech. Now for online, digital targeted ads. Terms of the deal were not disclosed. ... "